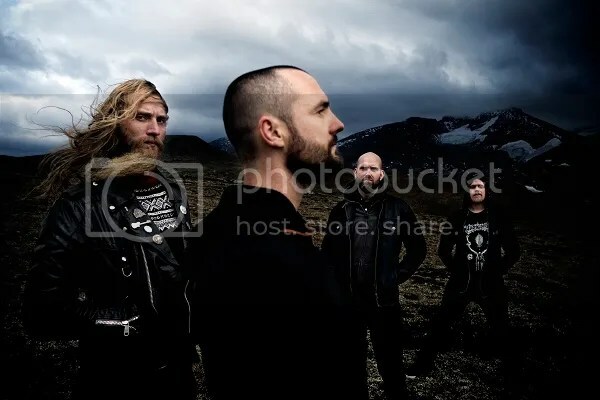 Formed in the fall of 2005, KRAKOW ‘s lineup consists of very skilled and experienced musicians with Kjartan Grønhaug (HAVARIKOMMISJONEN) on guitars, René Misje on guitars and vocals, frontman and bassist Frode Kilvik (AETERNUS, VITHR, ISABELLA LEROY ) and Ask Ty Ulvhedin Arctander (KAMPFAR) on drums. According to KRAKOW, the making of “amaran”, which is a follow up up to 2012’s much praised sophomore album “diin”, has been ” a journey, never easy, but always thrilling”. Once again the band has worked with producer Iver Sandøy at Solslottet and Duper Studio. The seven-track album is set to appear on Dark Essence Records on the 9th February 2015 in CD, Vinyl and Digital formats. ” During the sessions we almost killed Kjartan’s Mesa Mark III with a steel reverb and Space Echo, used the smallest acoustic guitar on this side of Equator, and recorded accordion, broken chair, surf guitar, cassette player guitar, singing though a piano and open windows during a storm, just to name a few. The whole recording session ended with a lot of red wine and 18 minutes of pure dark drone”. So good! Can’t wait to hear more!